HOME >> BLUE SUN ROOM >> HAPPY U-DAY! BONUS APPLES TO GRISWOLD CARDS! 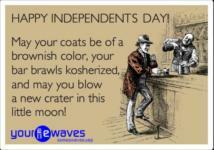 HAPPY U-DAY! Bonus Apples to Griswold Cards! 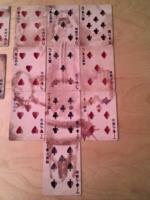 To celebrate U-Day and the release of my new game, here's a few bonus cards! 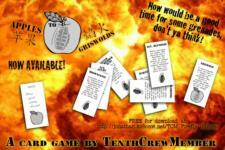 Apples To Griswolds game now available!!! Yes, you can release that baited breath you've held, it's finally here! Apples to Griswolds! Just in time for Talk Like a Pirate Day for all you ruttin' space farin' pirate types! Shiny! Download it now! Print and play today! Updated with the new link for my Firefly games, the original was only available to those who attended a special advanced screening of Serenity in Cincinnati, but now everyone can have one! I've tagged it with the FireflyFans.net addy as well to identify it as the new copy. 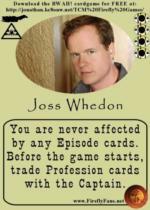 Visit the link on the card to download any and all games I've developed, available for FREE, as always, to all my fellow Browncoats. Thanks for carrying me all these years. :) You guys are the finest bunch of Rubens in the 'verse. 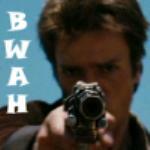 A fellow Browncoat, goes by Watcho, was telling me how her sister was now watching Firefly because of Nathan Fillion in Castle. 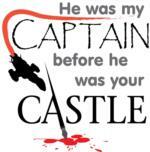 She retorted with "He was my Captain before he was your Castle", and lo, a new design was born in that moment. You can find this design in the old TCM SPACE BAZAAR at: http://www.cafepress.com/10thcrew/743568 or, if you're handy with an iron, as your legend tells, print it out and iron it on your own self. Enjoy! 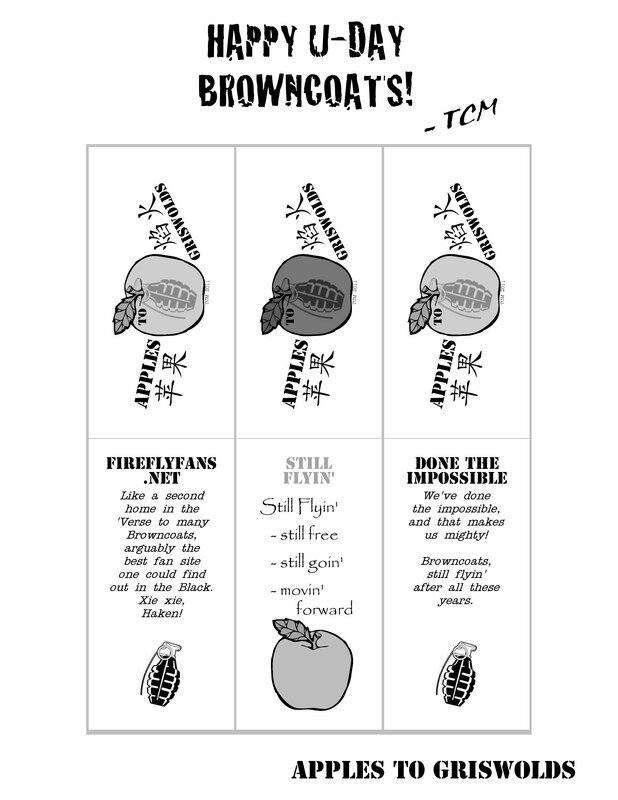 Also, at the behest of fans, both past and current, I'm only doing this up in grayscale in order to go easy on printing because there'll be A LOT of cards, and I don't want to eat up folks' printer ink. Dug these up, made 'em years back. Sharing again for you!